the Beijing Sanshou/Kickboxing Team. Grandmaster Li currently servers as the president of the World Fighting Martial Arts Federation. Grandmaster Li Tai Liang is an esteemed martial arts master who is recognized and acclaimed both in the United States and China. 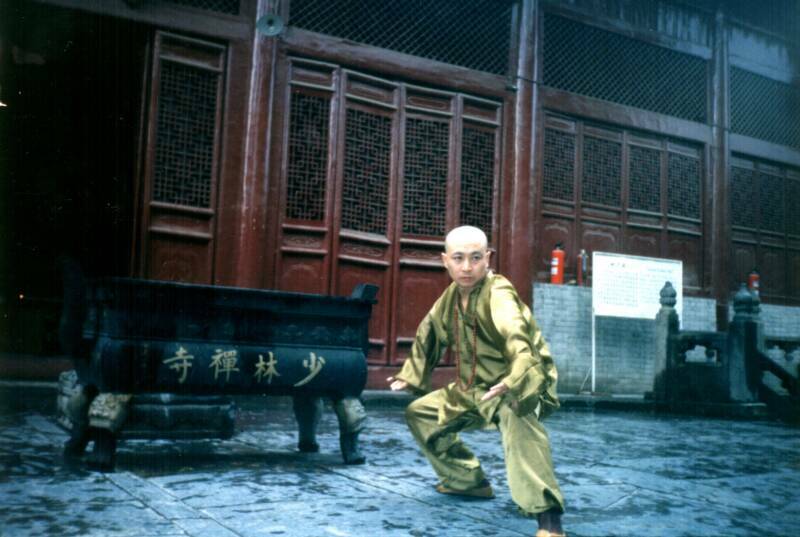 In 1996, Grandmaster Li made the difficult and momentous decision to leave his home and distinguished career in China in order to teach in the West the great gifts internal martial arts has to offer: fighting techniques, self-defense skills, and his understanding of the true nature of the deeper roots of martial arts in the meditative mind, clear intention, and cultivation of internal power and physical health through the practice of these arts. Born in Shanxi province, China, Grandmaster Li learned Xingyi Quan from his father Li Shiquan, who was a student of the famous Bu Xuekuan who in turn learned Xingyi from Che Yizhai, who was the student of Xingyi’s modern originator, Li Luoneng. Grandmaster Li also learned the more ancient and internal ancestor of Xingyi, called Dai Style Xinyi from Wang Yinghai, also known as Tao Yuan Zi. It was Dai Style Xinyi that Li Luoneng knew and modified to create modern Xingyi. Grandmaster Li learned Bagua Zhang from Grandmaster Zhang Fengjing. 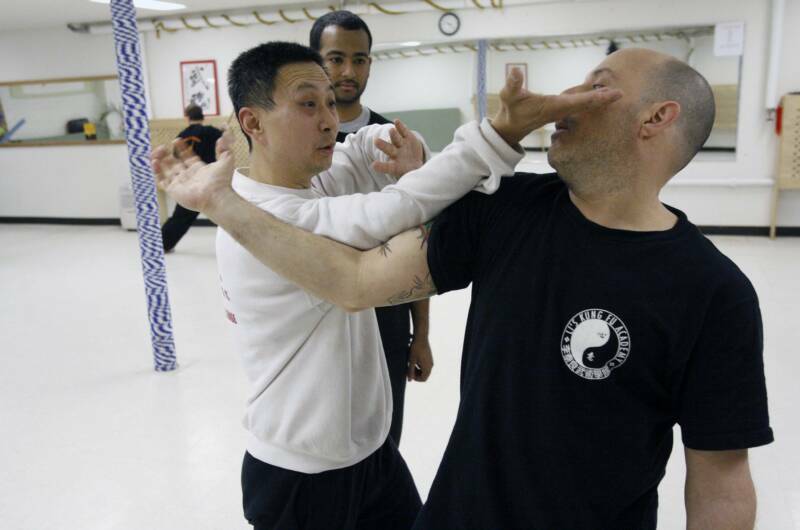 This style of Bagua pre-dates Dong Haichuan and is simply known as old Bagua or Taoist Bagua. Grandmaster Li is a closed door disciple of Wang Rongtang, who was a disciple of Yang Mingshan. Yang Mingshan was a disciple of Cheng Tinghua, who learned his Bagua from Dong Haichuan, the art’s founder. 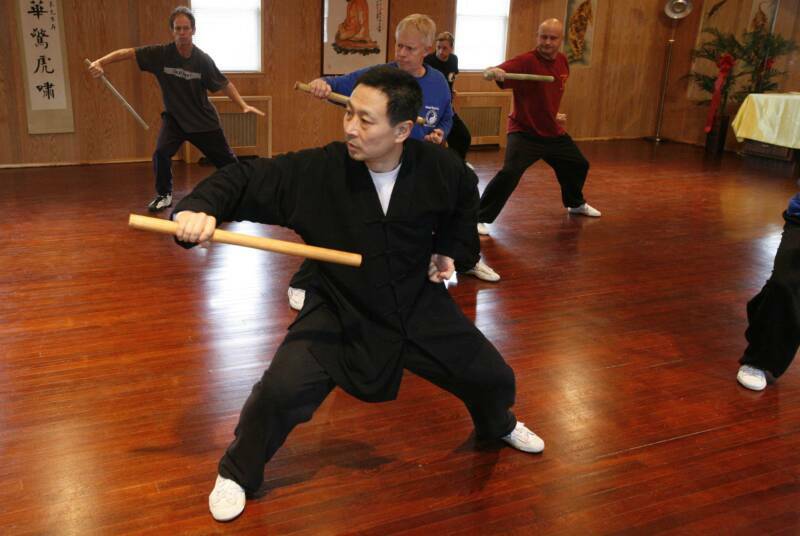 Grandmaster Li was selected to join the Wushu Department of Beijing Sports University to study San Shou and various forms of martial arts, including bagua, taiji, pao quan, western boxing and modern wushu. Grandmaster Li’s instructors included the illustrious 1936 Wushu Olympian, Professor Zhang Wenguang. 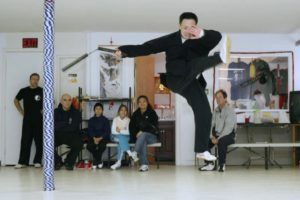 Grandmaster Li developed special expertise in San Shou, winning the National Chinese Martial Arts Competition in San Shou and the National Police Combat Competition. Upon retiring from competition, Grandmaster Li become the first coach of the Beijing San Shou team. He also instructed the Chinese Special Police forces, was the head coach for the Shaolin Temple’s San Shou program, and was the chief referee for the National San Shou Competition. From the age of five, Grandmaster Li has studied, practiced, cultivated, and integrated traditional and modern martial arts. With his intimate knowledge he has created a developmental system called Xinyi-Dao, which unites the essential elements of Shaolin Kung Fu, Internal Martial Arts, & Sanshou Sparring into a complete modern system for self-defense, health, and fitness that is available and comprehensible for everyone.